Jagruti's Cooking Odyssey: Bhel Puri ! I made this dish for SITLA SATAM...On this day we eat cold food, which we make on previous day...I prepared everything and left in the fridge.. Mix everything in a bowl (except Onion) and leave it for 10-15 minuets. In a bowl take few spoons of dry stuff and add few spoons of wet stuff. Now add onion and 3 chutneys to your liking,mix well and enjoy as much as my family does !!! One of my favorites, I love it! Looks good! One of my favourite street food! Yumm! MmmmMmmmm...missing mumbai badly now :(( luved ur version of bhelpuri..adding chickpea is really new ..will surely try adding next time..lovely clicks dear ! Looks amazing...will be a def try for me..! am recovering from fever and my numb tongue always look for something tangy...here is the answer. looks awesome Jagruti. Wow,I love chats and bhel puri is in top of it,mouthwatering now!! loved ur version of bhel.. nice pic! God I love Indian street food! I really need to go there someday and try all of this. Or I'll just come to your place. Thanks for visiting my spot. This is such a tasty street food...love it. Woww am drooling rite now here..my fav bhel puri..
Yay my favorite chaat item. Very tempting pics !! ciao!!!!! !complimenti per il tuo bellissimo blog!!! grazie del tuo gentilissimo commento!!! a presto! ciao! bhel puri my evertime favorite snack..looks so good and yumm..
what a lip smacking bhelpuri...loved everybit of it. A scrumptious snack for sure! Bhelpuri is my all time favourite. I can have it anytime. Looks mouth watering. I love all kinds of chaat. This looks wonderful. 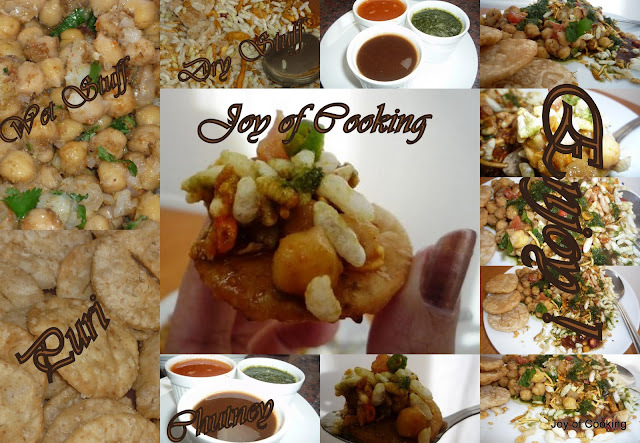 Tempting clicks, well who can resist this lipsmacking chaat, i just love it and havent had it from a long long time...looks really good jags..
By reading your post, I can feel how tasty the chaat is..great recipe dear..
yummy.. i am drooling over the pics.. I want some bhel right now! yummy!